Abstract—Schema matching and schema integration are important components of the data sharing infrastructure in Collaborative Networks. In order to achieve more accurate matching and integration results and enhance efficiency, it is required to provide some mechanisms to carry out these processes as automatically as possible. This paper addresses the problems and challenges related to schema matching and schema integration and introduces the Semi-Automatic Schema Matching and INTegration (SASMINT) system to automate these processes. Other systems aiming at database interoperability typically focus either on schema matching or on schema integration. On the other hand, the SASMINT system combines them and uses the results of schema matching for semi-automatic schema integration. SASMINT follows a composite approach in schema matching, which means it combines the results of variety of algorithms, making it a generic tool applicable for different types of schemas. It also proposes a Sampler component for helping the user to assign the weights to algorithms. Furthermore, SASMINT uses an XML-based derivation language to save the results of schema matching and schema integration, and also to define the components of integrated schemas, in order to further support automated query processing against integrated sources. 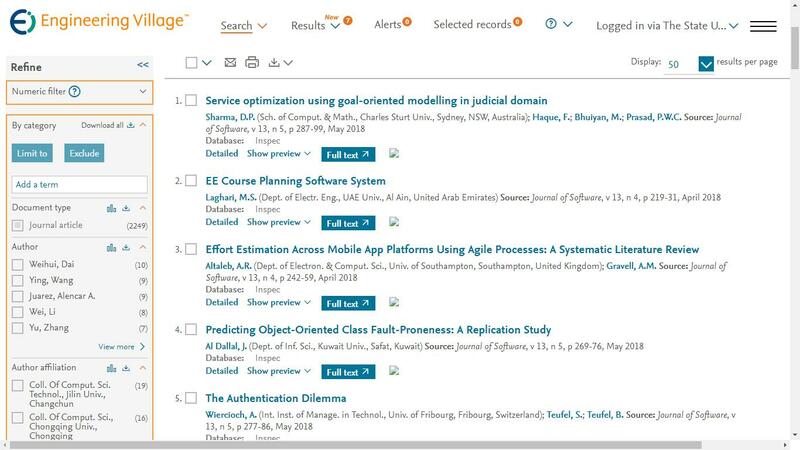 Cite: Ozgul Unal and Hamideh Afsarmanesh, "Schema Matching and Integration for Data Sharing Among Collaborating Organizations," Journal of Software vol. 4, no. 3, pp. 248-261, 2009.